Kanguru is a U.S.-based manufacturer of military grade, Defender® AES 256-Bit, hardware encrypted USB data storage drives that can be configured, deployed and remotely managed by organisations to maintain the highest level of security. Kanguru is the only source for a one-stop solution of fully-integrated hardware encrypted USB drives with the option of cloud-based, enterprise-level remote management. Kanguru Remote Management Console (KRMC™) is a robust remote management solution for which organisations can monitor, manage, and report on their deployed Kanguru Defender encrypted flash drives, hard drives and SSDs. There is even an option to remotely wipe or disable drives in the event they are ever lost or stolen. 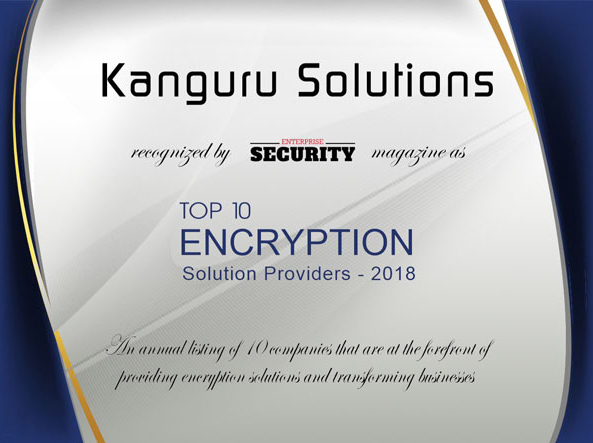 Security-conscious organisations around the world trust Kanguru’s encryption products to secure their data and meet industry regulations. Standards in healthcare such as HIPAA, and other regulations like GDPR, Sarbanes Oxley and GLBA are met with Kanguru’s robust, easy-to-use solutions.